San Francisco, CA, November 13, 2014 – VIZ Media, LLC (VIZ Media), the largest distributor and licensor of anime and manga in North America, gives fans a wide array of exciting new anime releases to consider for wish and gift lists this holiday season. New and veteran fans are invited to dive into legendary anime series such as the newly dubbed and uncut SAILOR MOON and RANMA ½ with box sets that also contain a wealth of extra features and special bonus material. VIZ Media is also proud to present GARGANTIA ON THE VERDUROUS PLANET, the vivid sci-fi/action series from the famed anime studio, Production IG, presented in a comprehensive DVD and Blu-ray/DVD combo pack. 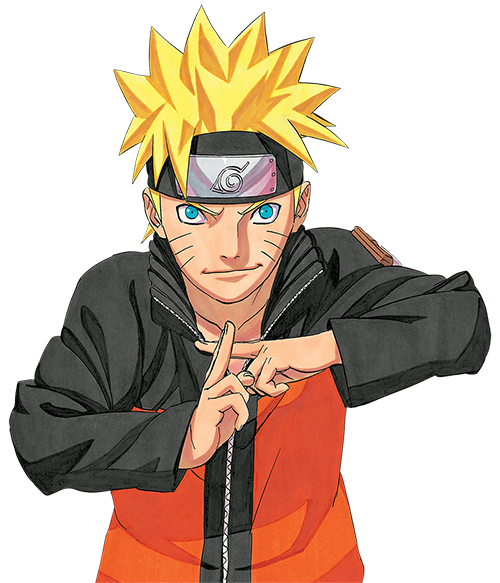 Fans of the world’s most popular ninja, Naruto, will not want to miss the hero’s latest animated feature film, THE ROAD TO NINJA: NARUTO THE MOVIE, which also will be available on DVD and Blu-ray formats. RANma ½ Set 4 · Limited Edition Blu-ray MSRP: $54.97 U.S. / $63.99 CAN; DVD MSRP: $44.82 U.S. / $51.99 CAN· Available December 2nd! The Mayhem continues in the latest RANMA ½ home media set!! Shampoo visits Ranma, bringing a souvenir bell from China along with a Phantom Cat, who’s in search of a bride! Ranma will have to endure his fear of felines in order to defeat the Phantom Cat. Then, after a series of certain events, Ryoga becomes the strongest martial artist in the world. After that, Kuno gets his hands on a secret sword call the “Mangamaru,” which grants the user here wishes, and one of them is to have a date with the Pigtailed Girl! Finally, a mysterious foursome has come from China in search of the legendary Dragon’s Whisker and will stop at nothing to get it. But what is the Dragon’s Whisker and what does it have to do with Ranma? Set contains Episodes 70-92 on 3 Blu-ray or DVD discs housed in a gorgeously illustrated chipboard box with embossed foil stamping. In ROAD TO NINJA – NARUTO THE MOVIE, long ago, a mysterious masked shinobi unleashed the Nine-Tailed Fox onto the Village Hidden in the Leaves to spread chaos and destruction. But the Fourth Hokage, Minato Namikaze, and his wife Kushina Uzumaki sealed the Tailed Beast into their newborn son, Naruto, to save the village, foiling the shinobi’s plan. Years later, Naruto and his friends succeed in driving away the infamous Akatsuki, who have mysteriously returned from the dead. Upon returning to the village, the young shinobi are praised by their families for completing a dangerous mission. Reminded of how alone he is, Naruto begins to wonder what it’s like to have parents, when a strange masked figure appears before him – the same masked shinobi responsible for the death of his parents! The Blu-ray edition features crisp 1080p High Definition video and also includes a special bonus art gallery. MSRP: $79.98 U.S. / $93.99 CAN; DVD MSRP: $44.82 U.S. / $51.99 CAN· Available Now! SAILOR MOON depicts the adventures of Usagi Tsukino, a cheerful 14-year-old schoolgirl who often finds herself in unwanted trouble. One day, she saves a talking cat named Luna from some mean kids, and her life is changed forever. Luna gives Usagi a magic brooch that transforms her into Sailor Moon, guardian of love and justice! Now Usagi must work with Luna to find the other Sailor Guardians and the Moon Princess, whose Legendary Silver Crystal is Earth’s only hope against the dark forces of the evil Queen Beryl! For more information on anime titles from VIZ Media, please visit www.VIZ.com.